The Downtown Grand Junction Partnership is committed to creating an economically diverse, sustainable, and vibrant downtown that is a great place to live, work and play. The Downtown Partnership consists of two special districts, the Downtown Development Authority and the Business Improvement District which share the same staff and Board of Directors. Large and small, Downtown Grand Junction was involved in a wide array of activities and projects Downtown, all with the goal of sustaining Downtown Grand Junction’s role as the preeminent hub for economic activity and commerce, cultural experiences and as a vibrant place to live and visit. The Business Improvement District (BID) produces and supports events that attract visitors, enrich life for residents, and drive revenue to local businesses. The BID also develops advertising, marketing, and public relations campaigns that reach regional, statewide and national audiences and help brand Downtown as a regional hub. 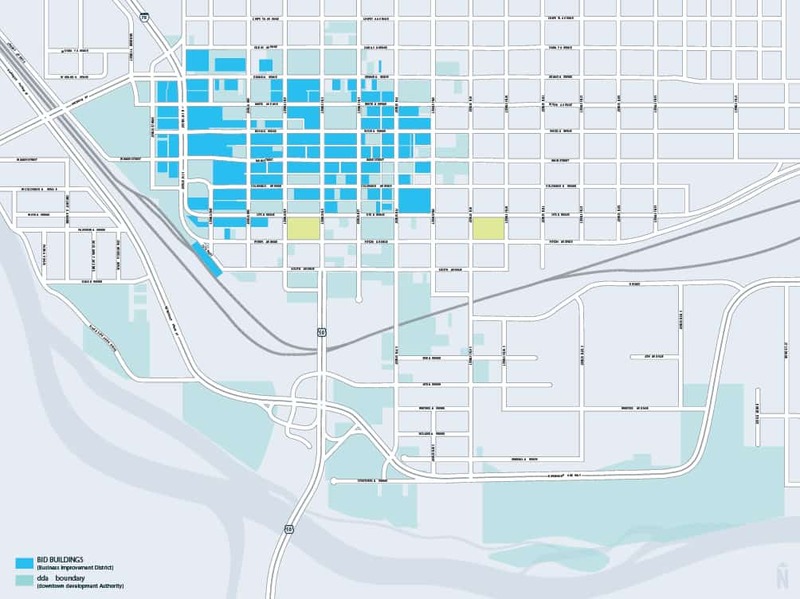 The Downtown Development Authority (DDA) focuses on supporting and facilitating economic development efforts to enhance the viability of Downtown through grants, capital investment and improvements to public amenities. Duncan Rowley | Chairman |Office Outfitters & Planners, Inc.
Tom LaCroix |LaCroix & Hand, P.C. The DDA Board meets the 2nd and 4th Thursday of each month from 7:30-9:00 a.m. The BID Board meets the 2nd Thursday of each month at 7:30 a.m. The meetings are held at ANB Bank located at 131 N 6th Street unless otherwise noted on the agenda. Download our meeting schedule.